Awesome and definitive as Mark Hamill’s performances as the Joker have been, the trivia lover in me can’t help wondering what happened in an alternate universe where Tim Curry stayed on as the Clown Prince of Crime in Batman: The Animated Series. If you remember, the legendary actor had been originally cast as the Dark Knight’s greatest foe when the show was first getting off the ground – before being fired, that is. Of course, there have been multiple stories circulating as to why Curry had been canned, with the most prevalent one being that his voice for the Ace of Knaves had been too scary for children’s programming. On the flip side, Tim himself has said his abrupt exit was due to his contracting bronchitis when recording sessions were just starting to heat up. To be honest, I think there’s truth in both explanations, but the recently released Batman: The Animated Series Blu-ray set has shed even more light on the situation. You see, at one point during the highly informative and educational “Heart of Batman” documentary, it was revealed that a key producer on the show wasn’t exactly the biggest fan of Curry’s, therefore he was shown the door due to studio politics. What’s more is that we learn how Curry recorded for a total of three episodes before Hamill replaced him. Based on how it was said the latter had to take on the difficult task of dubbing over footage that also already included singing, it’s probably safe to say one of them was “Christmas with the Joker.” I’d also hazard a guess that “The Last Laugh” and “Be A Clown” were the other two, though I can’t say for certain. Personally, I think it’d be cool if Warner Bros. were to re-release even one of those episodes with Curry’s original dialogue restored, but there’s no guarantee of that happening – or if they even exist anymore. 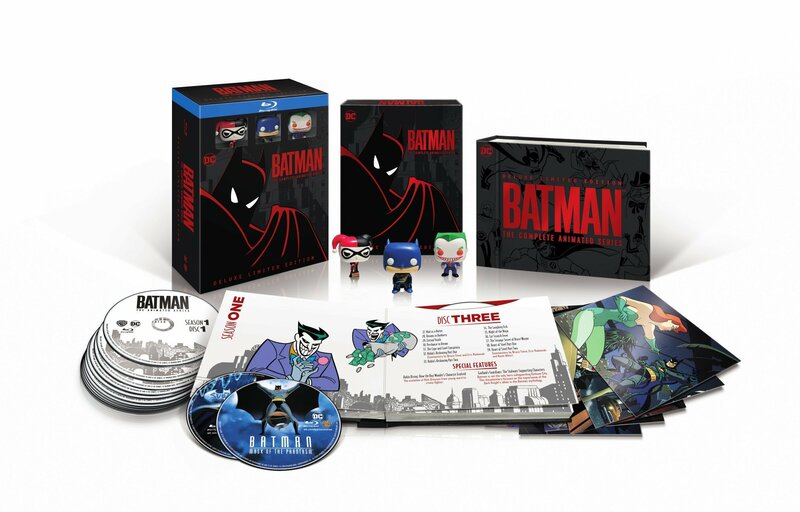 For more on Batman: The Animated Series‘ Blu-ray set, be sure to check out our review.